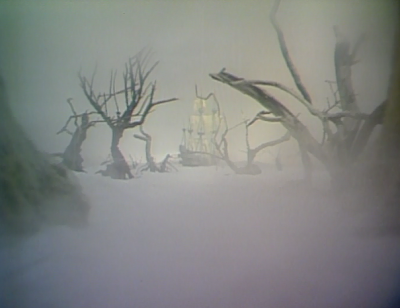 While it is undeniable that the third season of Land of the Lost suffers in terms of its continuity with the preceding two years’ worth of episodes, I nonetheless appreciate how the third season occasionally adapts creepy elements of world mythology to the world of Altrusia. It’s a different take than the original vision, to be certain, but the mythology-based episodes make for intriguing adventures, at least on a few occasions. Such is the case with “Flying Dutchman,” this week’s installment, which first aired on October 23, 1976. The story uses as its basis the legend of a Dutch man-of-war “ghost ship,” reported as early as the 18th century by sailors and other travelers on the high seas. In some stories, the captain of the Flying Dutchman (known as Bernard Fokke) is believed to be in league with Satan himself….a devil. In other variations of the folklore, the captain (sometimes Vander Decker) is being punished for some moral failing by this eternal life on the seas, never able to reach port again. The Flying Dutchman is also sometimes reported to be a pirate ship, lost off the Cape of Good Hope, and a young King George V once reported seeing the eerie vessel off the coast of Australia. 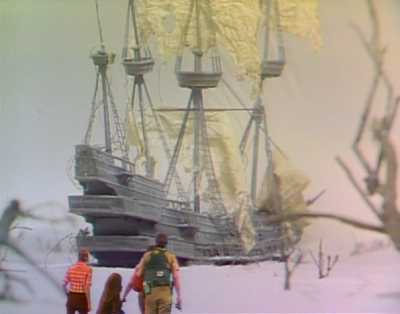 In Land of the Lost’s “Flying Dutchman,” The Marshalls discover a wrecked man-of-war in the Mist Marsh (former home of the Zarn), but the area is not referred to on-screen as such, which is disappointing. The Marshalls hear ghostly voices emanating from the ship’s deck, and find a lonely captain, Van Der Mere (Rex Holman) alone on board. Although he promises to take Uncle Jack, Holly, Will and Chaka back out through the vortex by which he arrived, the captain secretly plans to leave with only Holly (Kathy Coleman) on board. She is a dead ringer for his long-lost daughter, Wilhelmina, and he misses his child’s companionship. In the episode’s final moments, the Marshalls and Chaka watch in awe as the Flying Dutchman takes to the air, and sails out of view...though how it escapes Altrusia (and the land’s one in/one out rule of entry/exit) is left unexplained. On the plus side of the equation, “Flying Dutchman” is an episode filled with creepy imagery of the derelict ship in the Mist Marsh. These moments are atmospheric, and a real sense of danger and terror dominates the show (at least in Saturday morning terms). On the down-side, this episode sees the return of the single-worst character in Land of the Lost history, the cave-man Malak (Richard Kiel). Too much time is wasted in “Flying Dutchman” as Jack and Will negotiate with Malak for the release of Captain Van Der Mere’s nautical belongings, including a sextant and a compass. Some viewers, I remember, found this episode sexually perverse, with an adult man professing his love for a much, much younger woman, Holly. But the text of the episode makes it absolutely clear that Van Der Mere’s affections are not sexual, but those of a father who misses his daughter, and can never be reunited with her so long as he is cursed to travel the endless corridors of time. For me, the episode doesn’t play as particularly perverse, though I admit it features a scary undercurrent about children being kidnapped and swept away by dark forces. 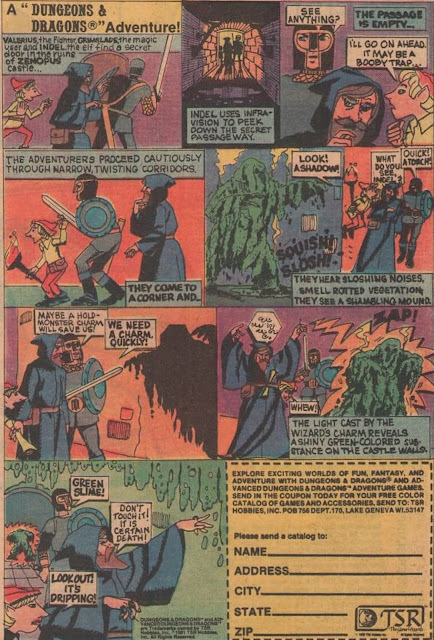 Despite the fact that “Flying Dutchman” plays fast and loose with the established rules of Altrusia, I still feel that the episode, much like “Medusa” works as a sort of children’s horror show. 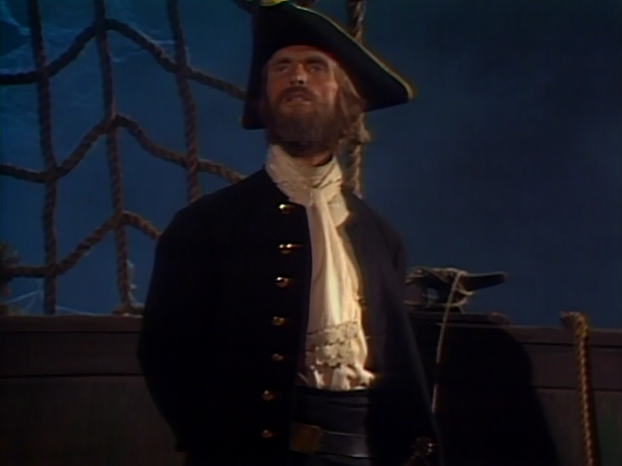 I remember that I liked this installment very much as a child, and was obsessed with the legend of the Flying Dutchman for months after viewing. I still find the legend compelling, and accordingly, I would rate this episode of the third season pretty highly in the roster. For me this was the best ep of season 3 and one of the best eps of the entire series. I find the scene of the Dutchman setting sail to be very moving. A classic. John, good review. 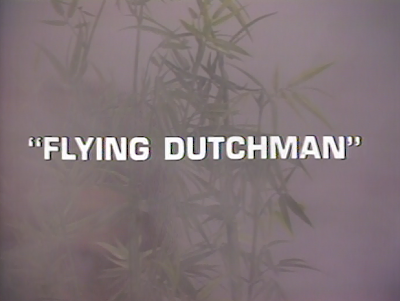 I think that the "Flying Dutchman" was an excellent episode of season three. 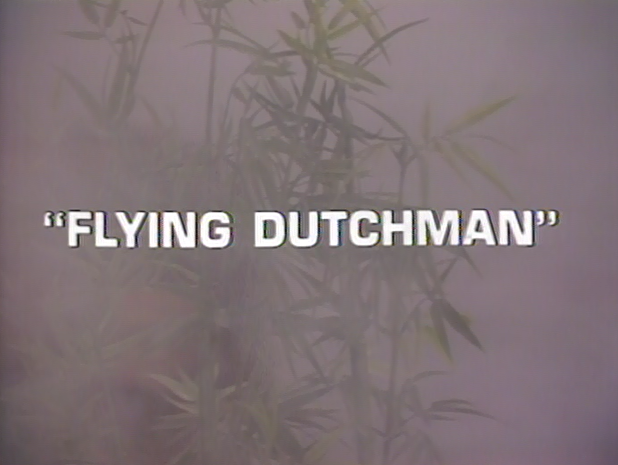 When I saw it as a boy in '76 I always wanted to see another episode about the Flying Dutchman. 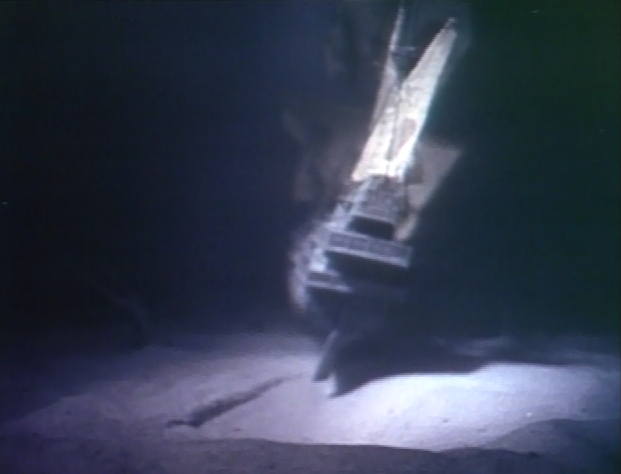 Maybe we as viewers must assume that when the Flying Dutchman departed the LOTL someone else entered. We'll meet them in another episode without the Marshalls stating it. Basically, everytime in season three that someone new srrives then we know someone has left. However, the writers are not going to tell us everytime.